Walgreens is a drugstore and general merchandise store that sells health and beauty items, as well as office supplies, toys, and grocery items. 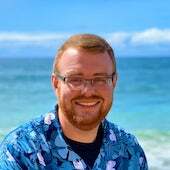 This Walgreens Store Guide will tell you what you need to know in order to shop at Walgreens with confidence and success. 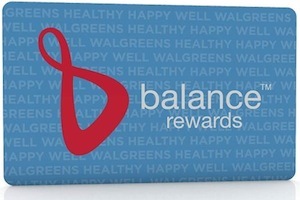 Walgreens launched a new store loyalty program called Balance Rewards in September of 2012. A Balance Rewards membership is required to receive sale prices and use in-ad coupons at Walgreens. In addition to these savings, you will also earn bonus points on select advertised items. The points can be redeemed like cash at checkout on most items in the store. You can sign up in-stores, online, or from your mobile phone. You can opt to be a cardless member, meaning you will enter your phone number at checkout on the pin pad. If you would like a physical card and signed up online or with your mobile phone, simply ask a store associate and they can do this for you. 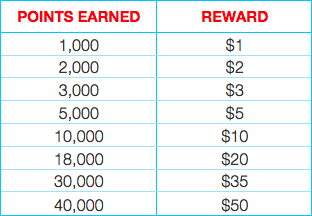 Once you earn 1,000 points, you may redeem them for a $1 reward. The more points you accumulate, the more they’re worth. See the redemption values in the table below. **In order to redeem points at levels below a $5 reward, you will have to ask the cashier to select this option for you. It will not show up on the pin pad. Have the cashier press Payment, then Rewards Redemption, and have them select the amount you’d like to redeem. If you pay with points, you will still receive Register Rewards. If you pay with Register Rewards, you will still receive points. If you pay with points, you will not earn additional points. If you pay with a W Card Store Credit, you will not earn points. If the Balance Rewards program is offline, your points will post within 24 hours of the system coming back online. If they do not, see a store manager or call customer service. Your Balance Rewards card must be entered into the transaction before in-ad coupons can be scanned. 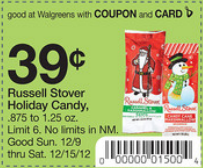 Manufacturer’s coupons do not interfere with points earned; however, Walgreens coupons do interfere with points earned. You may track your points at the register, online, or with your mobile device. Points can be redeemed in stores or online on most merchandise. Your current point balance will print on your receipt. You can also view your point balance at Walgreens.com or via the Walgreens mobile app. Didn’t get your points? See a store manager or contact customer service to have points manually added. Points will not expire as long as members shop at Walgreens at least once every six months and redeem their points within three years. One of the most important things you should do is become familiar with the Walgreens coupon policy. I recommend you bring a copy of this with you every time you shop in case issues arise. If your store refuses to follow the policy, call Walgreens corporate at 1-800-925-4733. 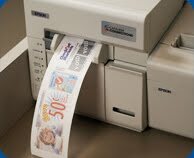 Register Rewards (RR) are manufacturer’s coupons that print out from a Catalina machine at the register after you have completed your transaction. They print out after you buy participating products, which may be advertised in Walgreens weekly ad, and expire in two weeks. There are also Register Reward deals that are not advertised in the weekly ads, but are posted inside the store. Register Rewards are manufacturer’s coupons. When you have a Register Reward to use, you can only use one per item purchased. If you are purchasing three items, you can use up to a combination of three manufacturer’s coupons and/or Register Rewards. If you attempt to use more than three, the register will not allow you to. If you have more manufacturer’s coupons/RRs to use than products, look for filler items. Fillers are inexpensive items such as candy, pencils, and clearance items, which allow you to use more coupons at checkout. Walgreens store coupons do NOT count towards your coupon to item ratio, so if there’s something with an in-ad coupon that you want to use as a filler, you can! If you purchase more than one of the same Register Reward participating item per transaction, you will only receive one Register Reward. To get more than one Register Reward when purchasing more than one of the same qualifying items, you will have to do multiple transactions. You can purchase different Register Reward qualifying items in the same transaction, and you will receive one Register Reward for each different qualifying Register Reward item purchased. When you have to buy multiples of an item in order to receive a Register Reward, I will post that in the deal scenarios on my site. Most of the time, Register Reward deals do not roll. This means that if your receive a $4 Register Reward for purchasing Colgate toothpaste, you cannot use this Register Reward to purchase another toothpaste and expect another $4 Register Reward to print. You can use Register Rewards from a different deal to pay for another Register Reward deal. For example, if Goody hair clips are $2 and generate a $2 Register Reward, I can do that in one transaction. I can then purchase Colgate toothpaste for $4 in a separate transaction, use the $2 Register Reward from Goody, and expect the $4 Colgate Register Reward to print. If you believe you should have received the Register Reward, you can have a manager post void the transaction and re-buy the items at another register. You can also call the Catalina company at 1-888-322-3814. 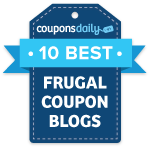 Learning how to correctly use Walgreens coupons will ensure that you have a smooth transaction. Walgreens coupons can be found in the weekly ad and inside booklets found throughout the store. Walgreens will release a new coupon booklet every month, and can be found with the weekly ads as you walk into the store. Walgreens coupons do not count towards the coupon to item ratio. Items with Walgreens in-ad coupons make perfect filler items. If you are buying multiples of an item, only one Walgreens coupon is needed. For instance, if you’re buying 3 Reach toothbrushes that are on sale $2 off with in-ad coupon, when they scan the coupon, it will deduct a total of $6. If you’re planning to do multiple transactions, please ask your store if it’s okay if you do multiple transactions. Either check out at the cosmetics or photo counters, or move to the back of the line after you complete a transaction. This way, you won’t hold up the line for other customers; usually the cosmetics/photo registers are less busy than the front registers. If Walgreens is running a buy one get one FREE deal, you can only use a coupon on the item you are paying for. If the deal is B1G1 50% OFF, you can use one coupon per item you’re purchasing, as long as the value of the coupon does not exceed the cost of the item. Walgreens does not provide overage in any circumstance. If the value of your coupon is more than the price of the item, your coupon will not be accepted. Walgreens does issue rain checks, however, you cannot get a rain check on a Register Rewards or Balance Rewards item. Rain checks are good for in-store purchases only and are valid for 30 days. In some cases, a store employee can substitute a similar item of the same brand at the advertised price. Finished reading the Walgreens Store Guide? Now go check out the current Walgreens Deals and apply your knowledge!